The Presidential race is on! When Elizabeth decided to run, she knew it would get ugly, but she didn't prepare for how low the opposition was going to go. 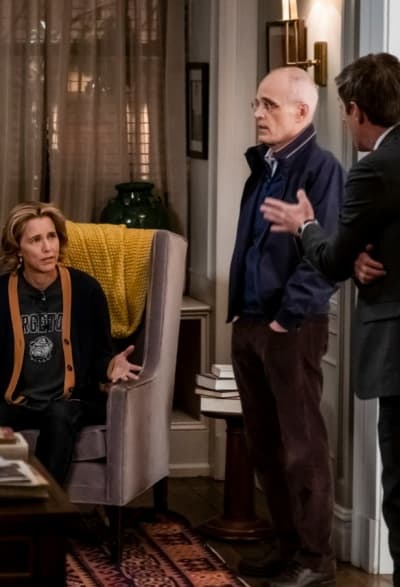 Madam Secretary Season 5 Episode 19 provided a look into how divisive politics has become and how much personal courage it takes to run for President, all while continuing to be as entertaining as ever. The fact that an unsubstantiated rumor overshadowed what was going on on the world stage was both sad and disturbing. Elizabeth has a long legacy of standing up for human rights and is such a value-oriented candidate that both political parties wanted her to run on their tickets, yet that silly rumor wasn't losing traction. Her staff was whispering about whether it was true, her husband was trying to find out who started it, and her so-called best friend from her CIA days implied that she only got where she was today because Dalton played favorites. And her opponent in the Presidential race did his best to keep it in the news, too, calling her morals into questions to score political points. It was dirty, it was ugly... and it mirrored real life all too well. The saddest part to me was that people weren't able to see through this ridiculous article. All the newspaper had to do was sprinkle enough words like "alleged" to avoid a libel lawsuit, and some readers took the insinuations to heart. Thankfully, it wasn't everybody, but had the rumor been allowed to grow any more legs than it did before Elizabeth finally confronted it, who knows how damaging it could have been. I think Elizabeth was right that these attacks were fear-based, too, and that's why it was so important she countered them on Jane Pauley's show. 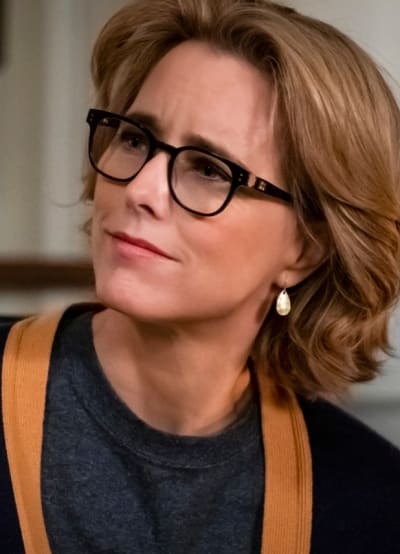 Madam Secretary made a rare allusion to real-life politics by mentioning both the Democratic and Republican party by name. 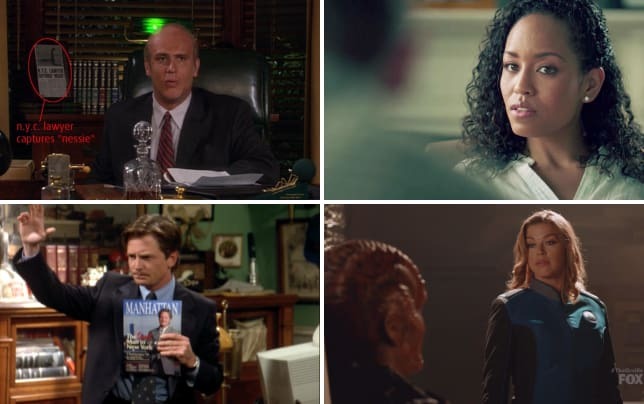 Usually, the politics are analogous to real-world situations, but the party affiliations are kept anonymous to help the show make its point in a less partisan way. In this case, though, there was no getting around using the party labels. Madam Secretary can't exist in a completely alternative universe where the parties have different names only to give the appearance of objectivity. 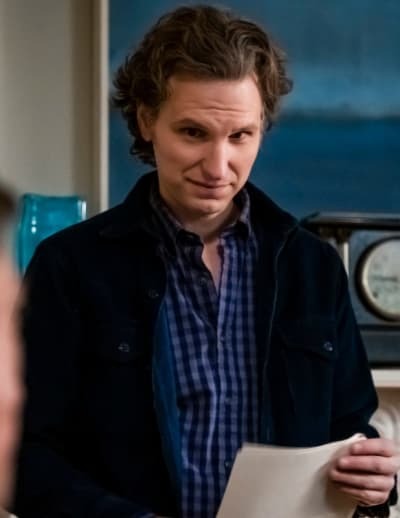 Plus, this allowed the show to address an often-unnoticed demographic: people who are more fiscally conservative or believe in smaller government but are more socially liberal. A side effect of the polarization in US politics is that both parties are painted with an overwhelmingly broad brush. People are increasingly expected to embrace EVERYTHING one party stands for while rejecting the other party as evil, and there's no room for any middle ground. And if you don't, you often feel like you don't belong anywhere. It's like there's no one you can really support because you can't support Issue A without supporting a whole host of other policy positions that might make you uncomfortable. Anyway, I appreciated Elizabeth's admitting that she felt aligned with some of the GOP's positions. I think that since she takes more liberal positions on things like immigration, many viewers might have assumed she was a Democrat. How's that for making people question labels and assumptions about each party? 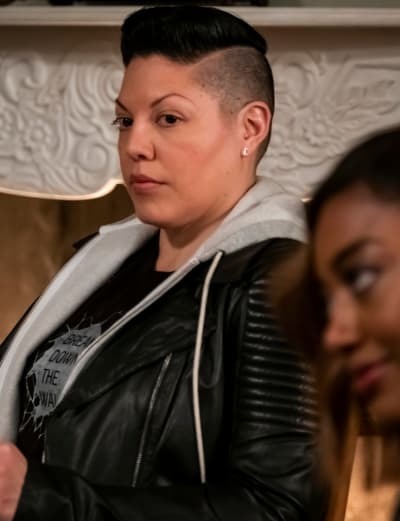 The rumors about Elizabeth stood in marked contrast to the storyline about Deputy Secretary Bailey. Nina didn't want to spread rumors and hadn't experienced any sexual harassment personally, but Bailey's reaction to the accusations suggested they were true. 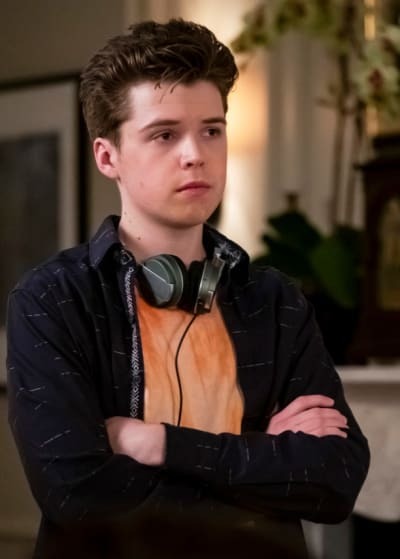 To be fair, to an extent it makes sense that Bailey would feel he was being treated as guilty until proven innocent since most people took the rumors about Elizabeth and Dalton less seriously. But as soon as he complained that times had changed and women needed to learn to take a joke, it was clear he'd done something inappropriate. And even if he hadn't meant to, he didn't offer any type of apology, not even a half-baked one. 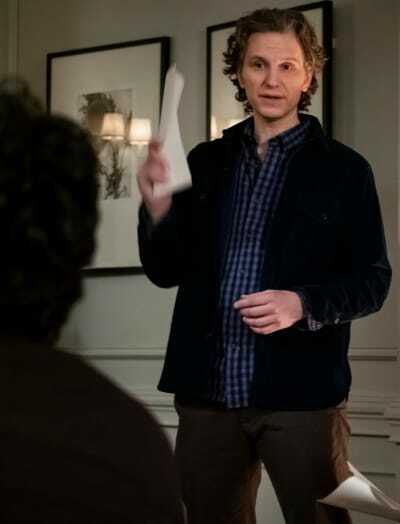 The international incident of the week was mostly a springboard for the real story, which was Elizabeth's evolution into an independent candidate who runs her campaign her way. Her conversation with the Chinese ambassador seemed like more of a farewell meeting than their usual back-and-forth. She didn't make any additional calls to China or try to get anyone else in the UN on her side. Instead, she floated the genocide-shaming idea to Dalton so they could clear the air about the rumors and that was that. I loved their conversation, though Dalton's advice to separate personal and professional life in Washington is easier said than done. It was definitely what Elizabeth needed to hear. 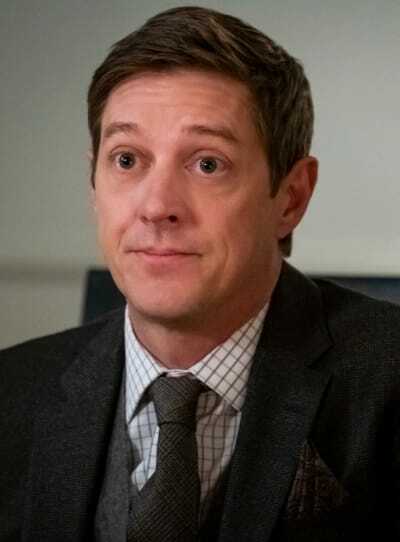 And Dalton's reassurance that he didn't support Elizabeth's career for any reason other than her abilities gave her the strength to run as an Independent and take charge of her campaign instead of listening to ideas that didn't fit her. 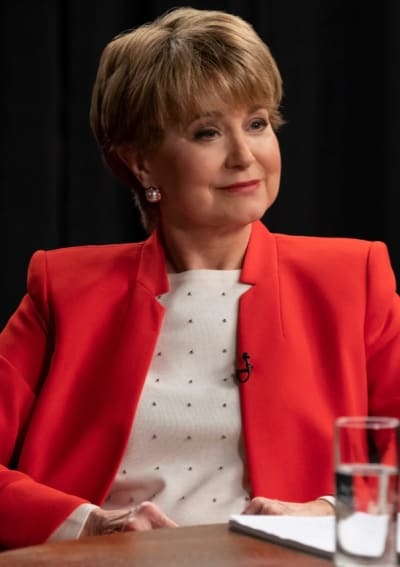 The speech Elizabeth gave on the Jane Pauley show summarized the hope and optimism that characterizes both her character and this show. 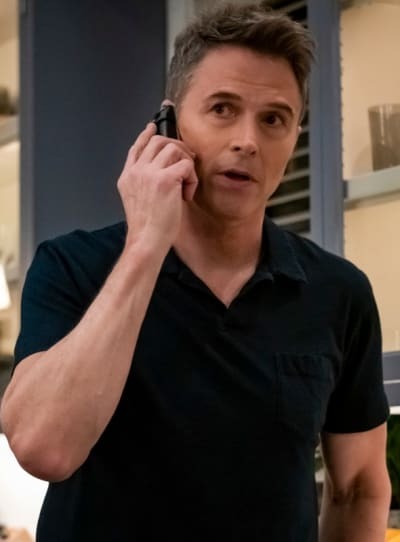 This effective wrap-up of the story could have easily marked the end of Madam Secretary Season 5. However, we're not quite there yet. 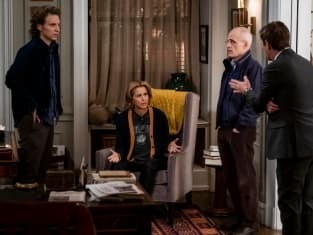 Madam Secretary Season 5 Episode 20 will air on April 21. In the meantime, watch Madam Secretary online and then hit the comments with your thoughts on "The Great Experiment". Madam Secretary continues to air on CBS on Sundays at 10 EST/PST.